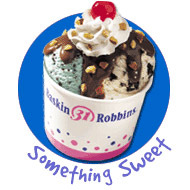 Baskin Robbins is offering a printable coupon to get 2 Sundaes for the price of 1! Hurry! This deal expires 3/28 & I'm sure there is a limit on prints. Perfect timing...its feels like summer today!